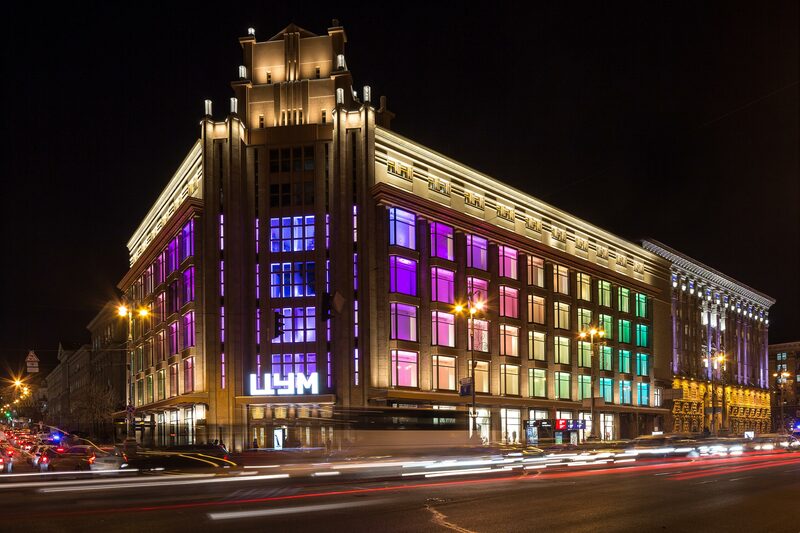 TSUM is an iconic department store in Kiev located in the historical district of the city at the intersection of Khreschatik and Bohdana Khmelnytskoho streets. 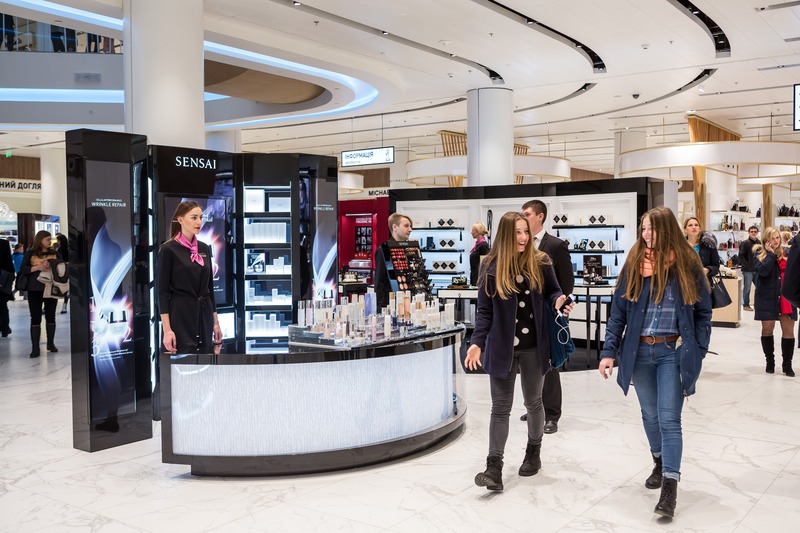 In 2016, the TSUM Kiev was open after the reconstruction representing the 8-store complex for a quality leisure time and entertainment. 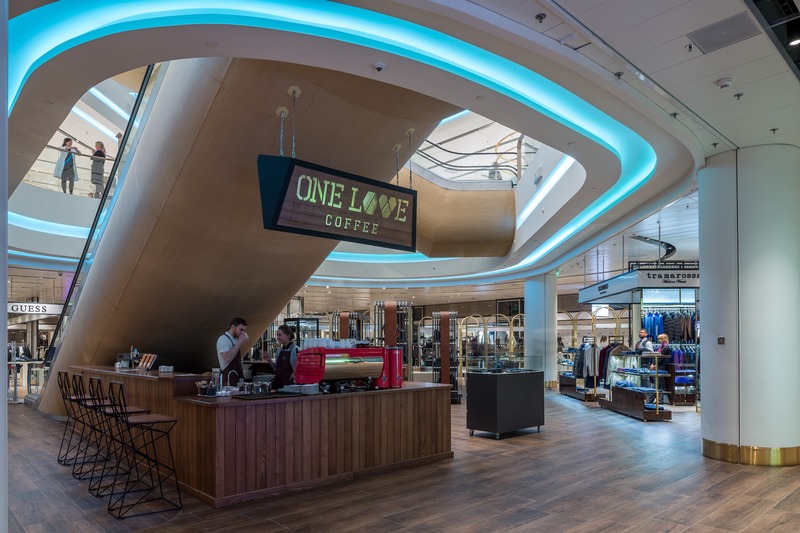 With the six of its stores offering goods in categories of menswear, womenswear, and childrenswear, as well as shoes, accessories, household goods, and toys. 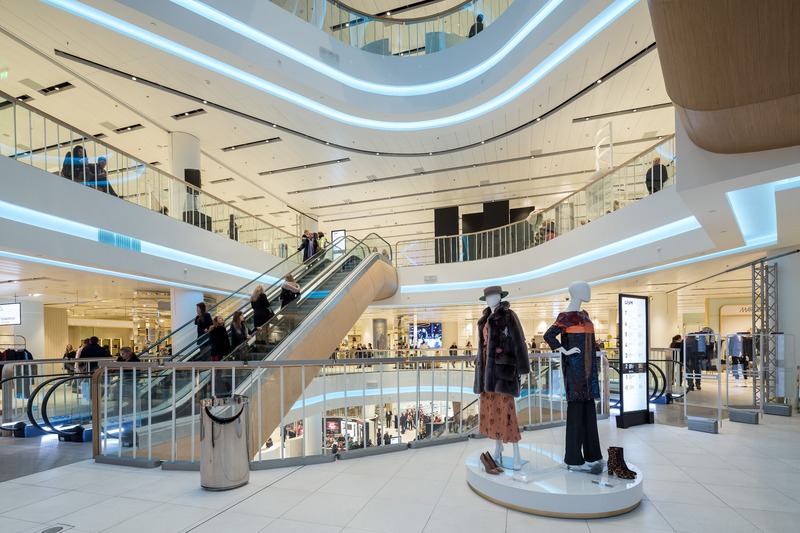 The 6th floor is fully allocated for the first in Ukraine food-hall housing 25 food points of the total area of 3200 m². The unique format is realized under the “see-try-buy” principle and combine farmer market, gastronome, and buffet; the 7th floor with cafes, bars and restaurants will locate the area of 3500 m² with panorama terraces of the total area of 1000 m², overlooking Kiev from the 30-meter height. 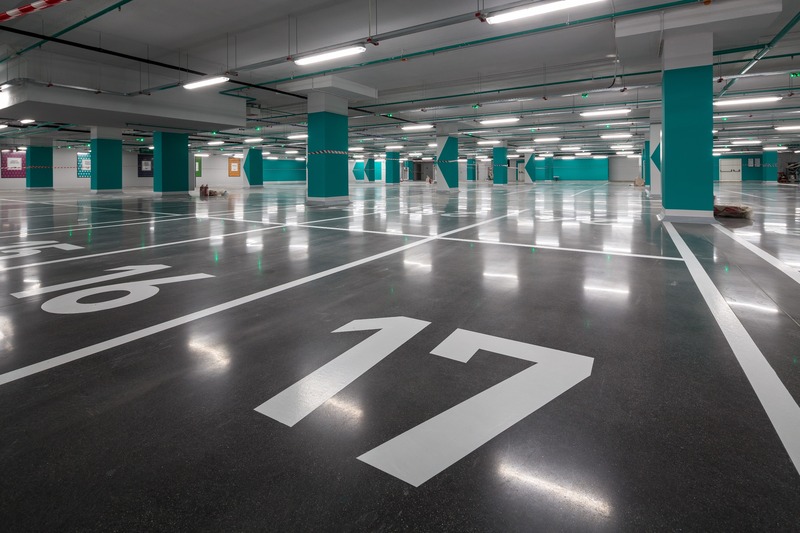 The lower stores house the double-level underground parking lot for 180 car places. On the 1st of February 2012, the major department store of the country was closed for rehabilitation. 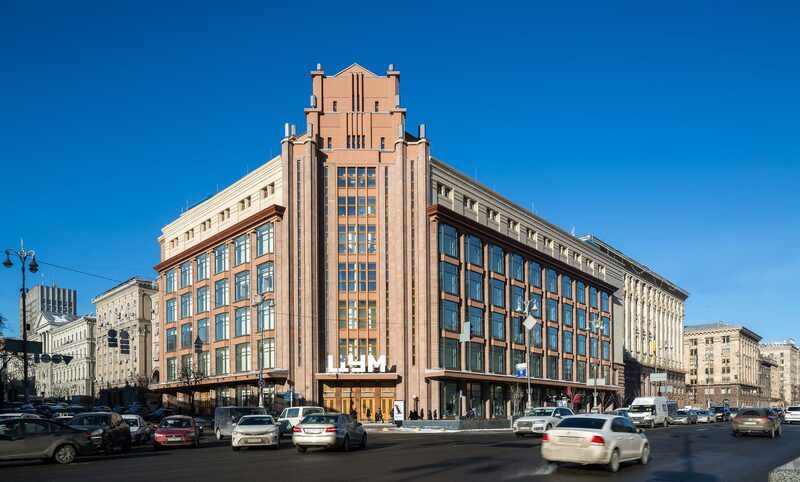 The historical façade of 1939 remained intact, as for the interior there is now the completely new center of a unique for Ukraine format – classical department store. It is the European class department store housed in the most beautiful building of historical significance rehabilitated with the recent architectural and design trends accounted for, with a wide range of industrial and consumer goods and meticulously selected collections and sets of services. The best experts from all over the world were engaged in the project. 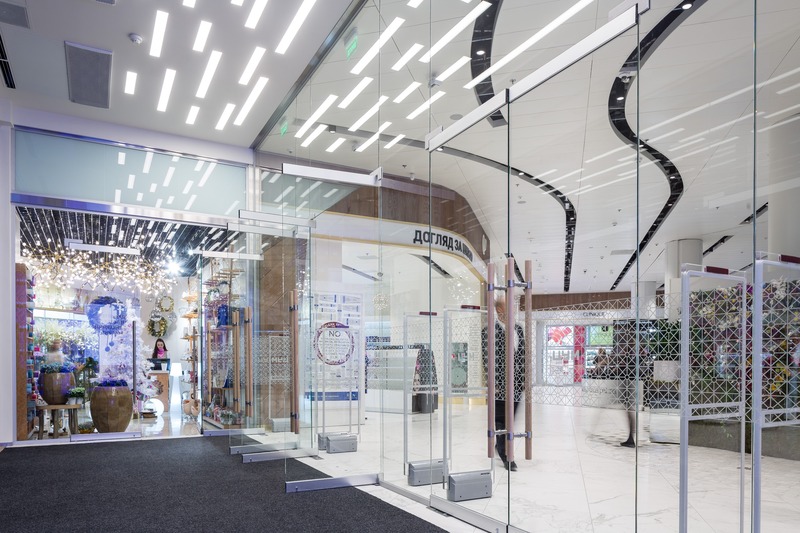 The architectural design, for instance, was elaborated by Benoy, the Brinish Company in association with Ukrainian architects. It is one of the leading international architectural firms. 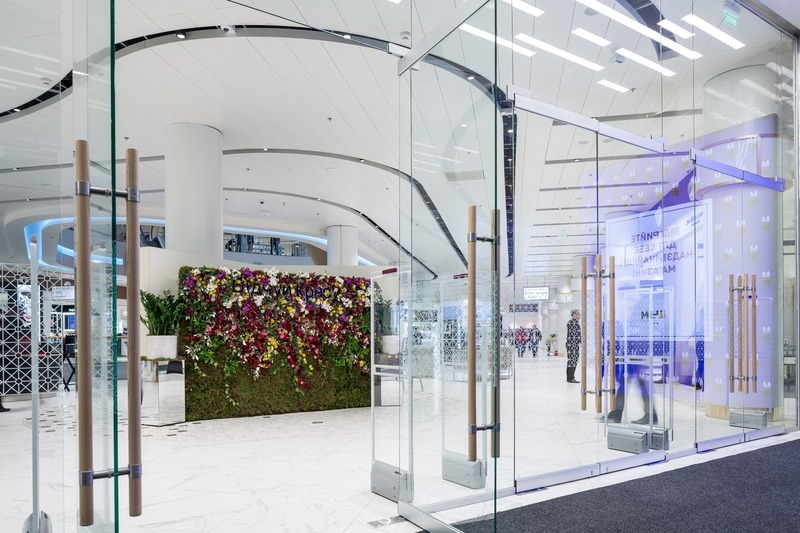 The interior was designed by Four IV – a London-based architectural studio. Concepts, proposed by foreign consultants, were adapted to correspond to local realia by Ukrainian contractors. Total surface area: 45,000 sq. m.